At Northwest Hair Restoration, your hair restoration journey begins with a complimentary consultation and assessment. In-Person: Visiting with Dr. Niedbalski during an in-person consultation is the best way to diagnose your condition and determine the next course of action. Virtual: Skype and FaceTime are great alternatives to an in-person consultation because it provides Dr. Niedbalski a visual look at the extent of your hair loss. By Phone: If meeting in person doesn’t work with your schedule, and Skype isn’t possible or convenient, we can set up a phone consultation for you to discuss your hair restoration goals with Dr. Niedbalski. Please be prepared to provide copies of current lab work, including scalp biopsy reports. This will help expedite the process of diagnosing the cause of thinning hair or hair loss. You can mail these reports to us prior to your consultation or bring them with you. As you speak with Dr. Niedbalski, he will want to hear about your expectations for your hair. He will review your hair loss and related medical history and perform a thorough examination of your scalp. Because hair loss can be hereditary – from either the mother’s or father’s side of the family, contrary to popular opinion – this information can help diagnose the cause of your hair loss. After determining the cause of your hair loss, Dr. Niedbalski will identify your treatment options and work with you to determine the most effective and feasible method to treat your hair loss. Financial considerations should not be an obstacle to keeping your hair looking the way you want. 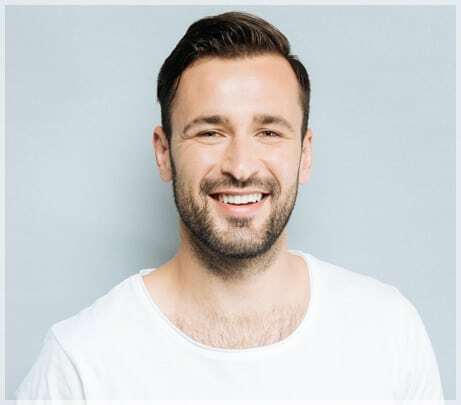 Investing in an ongoing relationship with Dr. Robert Niedbalski will help maintain your hair over your lifetime and help keep the cost for hair transplant surgery affordable. Prosper Healthcare Lending is the premier financing company in the health care industry. With over $3 billion borrowed and over 250,000 people empowered, this is a name and a program you can trust. Learn more about CareCredit’s no-interest payment plans. Apply now or call (800) 365-8295 to speak to a Care Credit representative. We understand the anxiety you might have about hair restoration surgery. In some cases, anxiety may cause a patient to postpone or avoid treatment altogether. But we don’t want fear of any procedure to hold you back from having the full head of hair you desire. We believe that when you are fully informed about what to expect during and after a procedure, you are better prepared mentally and physically, which decreases your anxiety. Our goal is to exceed your expectations for comfort before, during, and after your hair transplant surgery. What are your expectations for comfort? During consultation and pre-op phone calls, our team will ask clarifying questions to fully understand any concerns you might have, from adequate back support to a fear of needles. When you communicate openly with us about what causes you anxiety, we can explore possible alternatives that may make you more comfortable throughout the experience. The Northwest Hair Restoration surgical team will provide medication and an anesthetic to keep you comfortable throughout your procedure. In addition to not feeling any pain, we want you to feel calm and worry-free. To that end, our private surgical suite at our Tacoma, Washington, location offers cozy surroundings with beautiful views and a memory-foam procedure chair to recline in. With a state-of-the-art facility and a staff that makes you feel like family, we’ll provide the environment for a relaxing day. Scar-less surgery is a myth. Any procedure that will transplant hair requires an incision of some kind. When the body’s natural barrier is broken through, there is some form of a “patch” or scar created by the body during healing. The FUE method creates a small, circular scar where grafts are excised. The nature of the small punch incision does not require stitches, but does require healing time, and there will always be a small scar present even after healing. The FUT / strip-harvest method creates a thin, linear scar across the back of the head, which is similar to the crease in your palm. If the thought of either treatment creates undue anxiety, a less invasive option is the ACell + PRP injection offered as a stand-alone treatment. Comfort is a top concern for our patients. It’s a given that nobody wants to feel pain during or after a procedure. Recently, a patient shared that during her surgery, she didn’t want to see any blood or hear the clippers trimming her donor hair, and that she felt very anxious about the process overall. As a result, Dr. Niedbalski was able to accommodate her requests and mitigate her anxiety – maximizing her comfort during the surgery. ACell + PRP is the great equalizer for scarring. ACell promotes the healing process by activating stem cells in the wound to begin regenerating new tissue. Rather than forming a patch or scar, the body forms soft, supple new tissue at the site of the incision. Donor scars treated with ACell + PRP heal to be nearly undetectable. ACell + PRP can also be applied to the scalp via injections apart from a surgery, activating dormant follicles and regenerating miniaturized hairs on the scalp. Recovery after a hair restoration procedure requires some planning. Depending on your desire for confidentiality, it may be important to plan for some time away from work. You should reduce your activity levels during healing to minimize swelling. While there is some discomfort after a hair restoration surgery or an ACell + PRP injection, Dr. Niedbalski can customize a post-treatment plan to reduce the sensation of discomfort or irritation for you. At Northwest Hair Restoration, Dr. Niedbalski’s goal is to maximize your results while minimizing any fear or anxiety. If you are afraid of scarring, please discuss this with the doctor. There may be creative solutions that will work for you. Deciding to protect, renew, or restore your hair is a big decision. Start your information gathering process with a call to the practice. The complimentary consultation and assessment sets the groundwork for moving forward. A comprehensive plan will consider what your hair will look like 10 - 20 years from now. After a commitment is made toward surgical or nonsurgical treatment, it is important to feel prepared and informed about the process. Our clinical care coordinator will explain what to expect before, during, and after a procedure. During this conversation, any lingering questions are addressed, and any special requests related to comfort are noted to ensure expectations are met for a relaxing appointment. 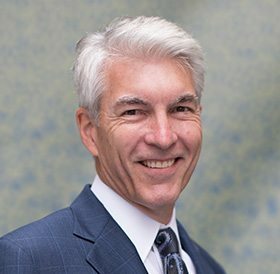 Dr. Robert Niedbalski performs all procedures at Northwest Hair Restoration in Tacoma. He is assisted by a team of dedicated, compassionate, professional surgical technicians who have worked alongside him for many years. This loyal team creates an environment that is comfortable and welcoming for patients. After the procedure, you will receive post-op instructions, directions for medications, and suggestions for keeping comfortable during recovery. You will have ongoing follow-up appointments every 4 months. Dr. Niedbalski closely follows your progress for 18 months and then annually. Follow-up communication will include direct access to the doctor. During annual visits with Dr. Niedbalski, you will learn about new breakthroughs in the fight against hair loss. He will take and review progress photos, update your comprehensive plan, and address any additional steps you may need to take to maintain your hair regrowth results and expectations. Your decision to receive hair loss treatment will be treated discreetly and be kept private. From initial contact throughout the process, your information is kept completely confidential, unless you provide your express permission to share your story. Our team will help you plan for time off and when to return to a normal routine. With a plan, you can feel confident in your appearance, with no visible indicators of a procedure detectable to others. 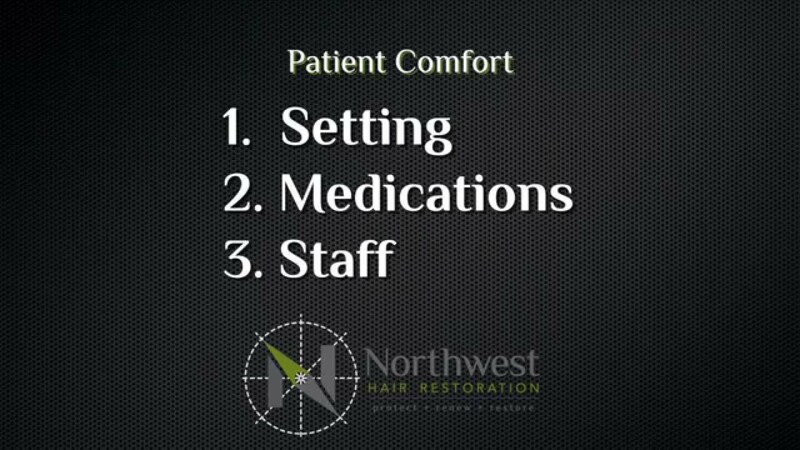 In this video, Dr. Niedbalski shares his philosophy and approach to honoring patient confidentiality and explains how the Northwest Hair Restoration team collaborates to keep your experience discreet and private. At Northwest Hair Restoration, we truly believe that information is power. Empower yourself today to do something about your hair loss. Call us at (253) 572-2949 for a free consultation and to begin your hair restoration journey. Feel free to use our convenient online appointment request form if you prefer.